Gentle curve with equal disc spacing. 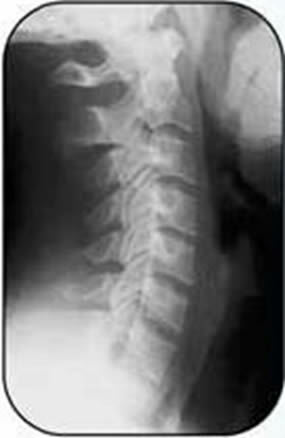 Outer margin of the vertebrae are smooth and intact. No visible signs of degeneration. Normal functions and movements of the spine. Regular chiropractic check ups are recommended for early detection and prevention of spinal decay. Loss of normal curvature with early narrowing of disc spacing. 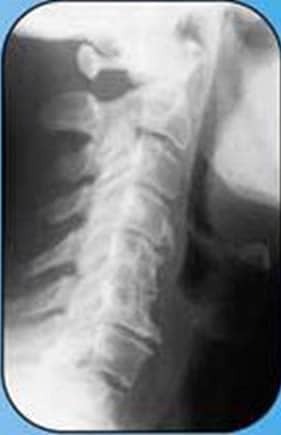 Loss of the smooth and intact vertebrae ‘s margin. Abnormal functions and movements of the spine with pain. 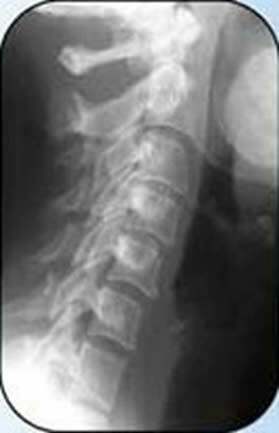 Normal curvature of the spine may be returned with appropriate chiropractic care. Straightening or reversal of normal curvature. Roughening of joint surfaces with narrowed disc spacing. Visible signs of bone spurs. Slowing and stopping of further spinal decay may be achieved with appropriate chiropractic care. Severe bone remodeling and joint fusion. Severe or complete loss of disc spacing. 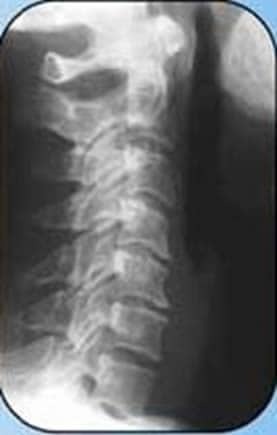 Severe loss of function and movements of the spine with pain. Call us today at 65544339 if you would like to have your spine checked by a professional Chiropractor.